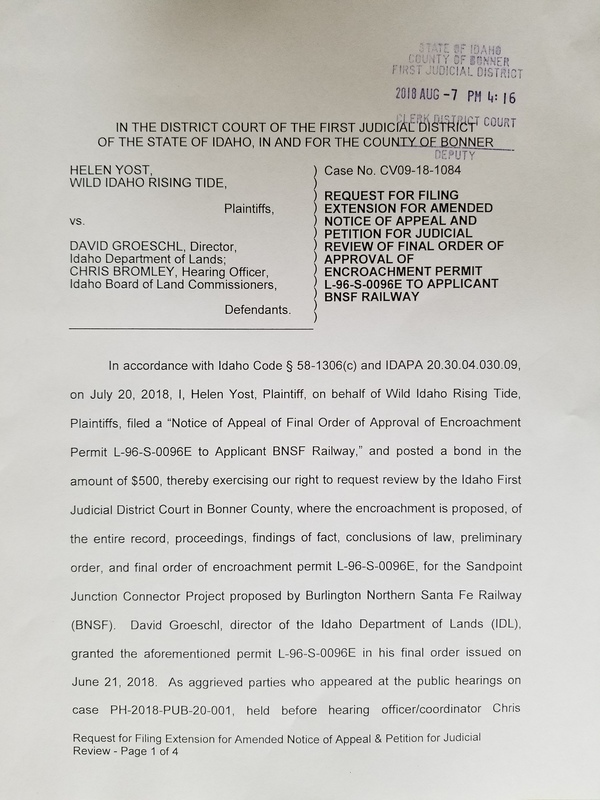 On Tuesday, August 7, Wild Idaho Rising Tide (WIRT) filed pro se (without attorney representation again) a request for an extension of at least 14 days to file an amended notice of appeal of the Idaho Department of Lands’ (IDL) June 21 final order approving an encroachment permit for Burlington Northern Santa Fe Railway’s (BNSF) Sandpoint Junction Connector application to build two temporary work spans and two permanent railroad bridges in Lake Pend Oreille and Sand Creek. The extension request also covers filing a petition for judicial review by the Idaho First District Court in Bonner County, of the entire, almost 1000-page, public record culminating in the state permit decision, based on the preliminary and final orders of Idaho Board of Land Commissioners hearing officer Chris Bromley and IDL director David Groeschl, the lawsuit defendants. 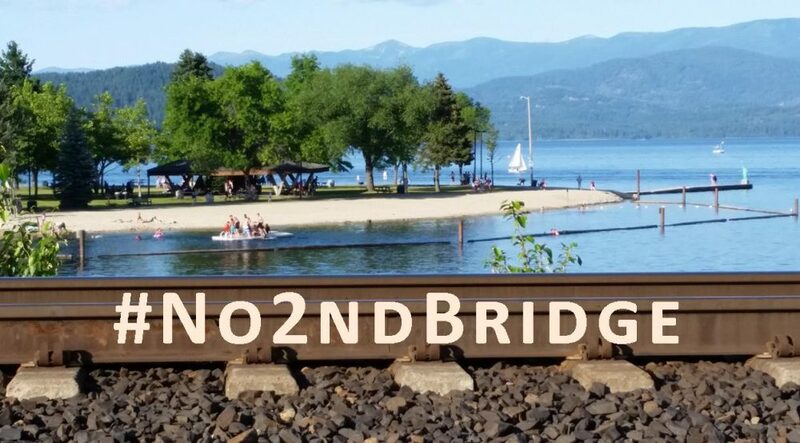 As one of 21 testifiers who spoke against the BNSF expansion project, besides ten who supported it, at the IDL/Idaho Land Board, administrative hearings on May 23, 2018, in Ponderay and Sandpoint, Helen Yost filed the original notice of appeal and request for judicial review, and posted a $500 bond on behalf of WIRT on July 20, within 30 days of Director Groeschl’s final order, as prompted by its concluding legal notification. Four additional testifiers opposing rail bridge construction have since expressed interest in tentatively joining the appeal as plaintiffs.